Evansville, IN Mold Removal company Hasgoe Cleaning Systems is a top rated mold removal company that can handle any size job for your home or office. The #1 mold inspection company in all of Evansville, IN is Hasgoe Cleaning Systems. Offering unbiased mold removal to the entire tri-state area, our Evansville, IN Mold Removal inspectors are the most experienced and qualified around. 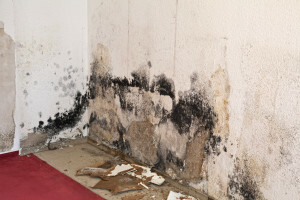 Mold Is An Indicator of a BIGGER Problem When you find mold, it usually means there is a moisture problem or a water leak. Hasgoe Cleaning Systems to treat the root cause. Don’t leave this up to chance, have us take care of it for you. We offer a variety of services to help get your house back to normal. We clean, sanitize, and get rid of the odor caused by mold and mildew. Our Evansville, IN Mold Removal expertise allows us to do this in a fast and effective way so you don’t have to worry about any problems popping up again. The truth is, mold spores can grow anywhere they find suitable levels of food, moisture, and heat. Mold and mildew can cause odors and aggravate breathing problems such as allergies and asthma. In very rare cases some individuals have reported more severe symptoms allegedly caused by Black Mold contamination. If you experience unusual odors or suspect that you may have a mold, mildew, or fungus problem in Evansville, IN, our mold experts will tell you one way or the other. Our test results can be ready in as little as 24 hours. Don’t try to fix your mold problem yourself! Sometimes people will try to deal with their problems by themselves. It often ends up getting worse because the original problem that caused the mold was not dealt with. Don’t be one of these people! There’s only one safe and sure way to identify and eliminate mold in Evansville, IN and that’s by calling the experts at Hasgoe.